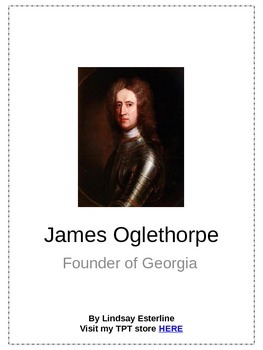 This PowerPoint on the founder of Georgia contains many hyperlinks to vocabulary, pictures, and additional information so that students are engaged and understanding the material! 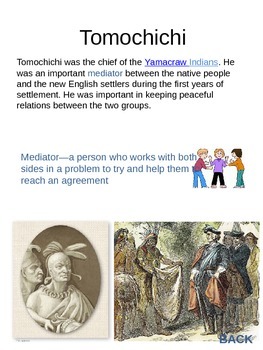 Use this presentation as a whole group lesson or in a center. 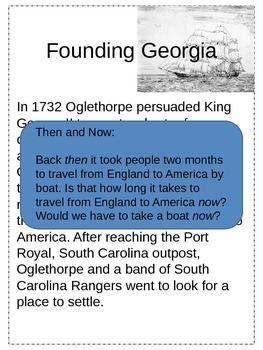 I have also included "Then and Now" questions like: Back then it took 2 months to travel from England to America. Does it take that long now? Would we have to travel by boat? 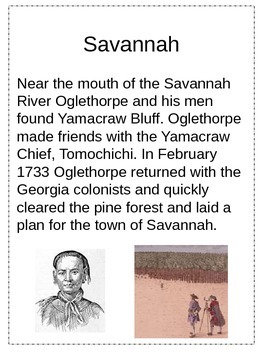 Check out my Tomochichi presentation, and you may also be interested in my presentation on Mary Musgrove.